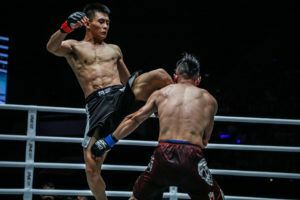 An action packed fight between Liu Meng Yu and Zhong Qing Ya at ONE Hero Series 3 ended in somewhat anticlimactic fashion with the latter retiring after two rounds due to an eye injury. 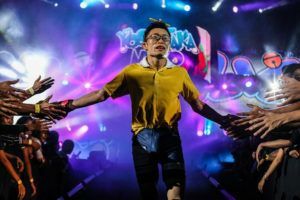 Their catchweight contest headlined the event in Beijing on Monday afternoon. 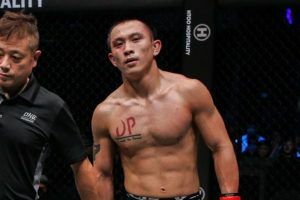 Zhong shot for a takedown immediately only for Liu to slap on a standing guillotine. 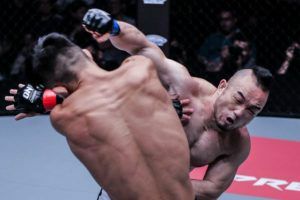 Liu looked to take Zhong’s back but but ended up fighting off a triangle attempt from top position. 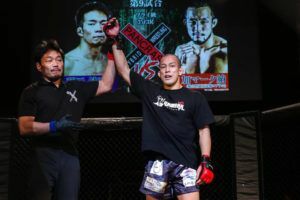 He escaped and attacked with a triangle attempt of his own, transitioning to an armbar just as the bell sounded. The second stanza started slowly the pace soon picked up. 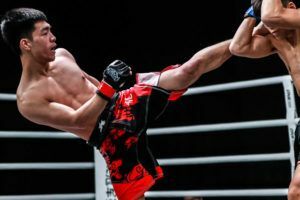 Once again Zhong scored a takedown and there was a brief pause as the referee reset the fighters in the middle of the ring. Then came the moment that would ultimately decide the outcome of the fight. 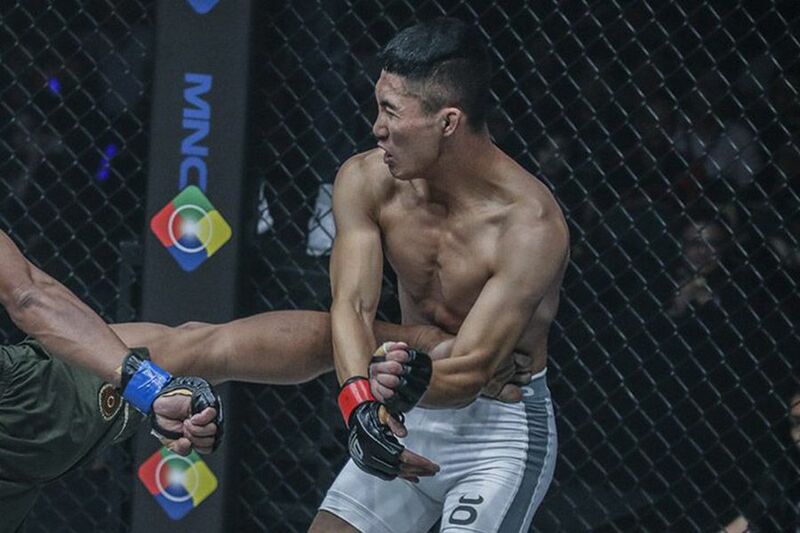 With Zhong in top position Liu threw an up kick which the referee deemed to be illegal. It connected with Zhong’s face and seemed to affect his vision. 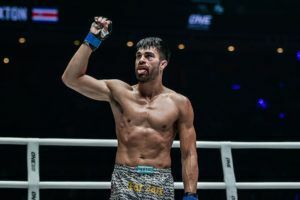 He took a long time to recover and Liu was yellow carded before the fight restarted with the injured fighter in top position. Both men separated only for Zhong to shoot for another takedown. 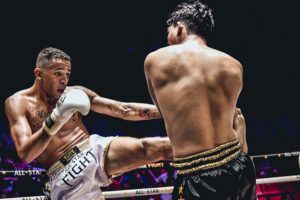 This time Liu swept him to the ground and unloaded with a barrage of ground and pound from full mount. 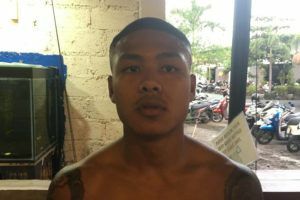 The bell saved Zhong but the facial injury he suffered from the illegal upkick was clearly affecting him and he decided to stay on his stool at the end of the second round. Liu was declared the winner by TKO and his record improves to 2-0 while Zhong drops to 2-2. 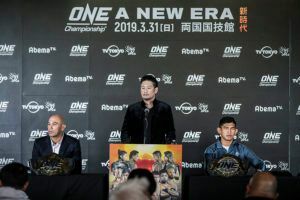 There were also notable wins for lightweight Ding Meng (10-2) and strawweight Ni Gedan (9-3).